The ICC's board, meeting in Auckland, New Zealand on Friday, has also approved a trial of four-day Test matches, beginning with a match this summer between South Africa and Zimbabwe. Image Source : BCCI IMAGES A file image of Indian Test team. The International Cricket Council has agreed in principle to establish Test and limited-overs leagues aimed at reviving interest in international cricket, especially in the traditional five-day game. The Test league is set to begin in 2019 and will involve the nine Test-playing nations each playing six series - three home and three away - over the two-year cycle and culminating in a final. The ODI league, involving the ICC's 12 full members and the winner of the World Cricket League - 13 teams in total - will begin in 2020 and will become the pathway to qualification for the ICC World Cup. The moves are designed to add "context" to all Test and one-day matches during the cycle of the league, answering concerns that Test cricket's popularity has been supported solely on existing rivalry between nations. "Bringing context to bilateral cricket is not a new challenge but this is the first time a genuine solution has been agreed on," ICC chairman Shashank Manohar said. The international leagues have had a long gestation, first being proposed in 1997 by former West Indies captain Clive Lloyd and South Africa's Ali Bacher. Firm moves to establish the championships have taken place over the last two years but have been slow to win the approval of all ICC members. ICC chief executive Dave Richardson hailed Friday's agreement as "a significant point in time for ICC members and our collective desire to secure a vibrant future for international bilateral cricket." 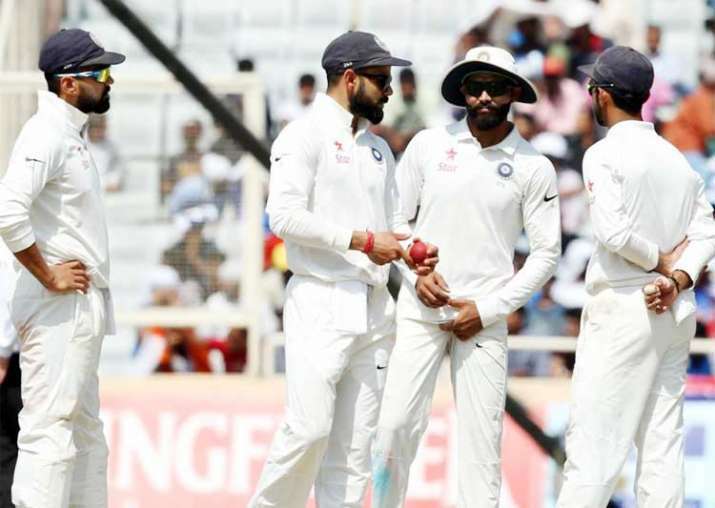 Under the rules of the Test league, the competing teams will have to play three home and three away series over the term of the competition, with each series comprising a minimum of two and maximum of five Tests. Each series is tipped to be worth 100 league points, 60 awarded to the series winner and 40 distributed on the basis of results in individual matches. At the end of the cycle the top two teams will meet in a World Test League Championship final. The ODI series will become a direct qualification pathway to the World Cup. In the first edition of the league each team will play four home and four away series - each comprising three ODIs - and all teams will play each other from the second edition onward. Manohar congratulated ICC members for "putting the interests of the development of the game first" in an oblique reference to the leagues' long and fraught development. "This means fans around the world can enjoy international cricket knowing every game counts and in the case of the ODI league, it counts toward qualification to the Cricket World Cup," he said. Richardson also referred to the difficulty in getting the leagues off the ground while interest in the long-form game has seemed to dwindle, partly because of the rise of Twenty20 leagues. "The ICC Board decision today means we can now go and finalize a playing schedule for the first edition as well as the points system, hosting arrangements and competition terms," Richardson said. "Every Test in the news league will be a five-day Test format, however, throughout our discussions about the future of Test cricket it became clear that whilst context is crucial we must also consider alternatives and trial alternatives that may support the future viability of Tests." That, he said, was the basis of the decision to trial four-day Tests, though he indicated that move had considerably less than unanimous support from member nations. "The trial is exactly that, a trial," Richardson said, "just in the same way day-night Tests and technology have been trialed by members. "Four-day Tests will also provide the new Test-playing countries with more opportunities to play in the longer version of the game against more experienced opponents which, in turn, will help them to hone their skills and close the gap with the nine ranked teams." ICC member nations will be able to schedule four-day Tests by bilateral agreement until the next World Cup in 2019, but playing conditions have yet to be finalized.